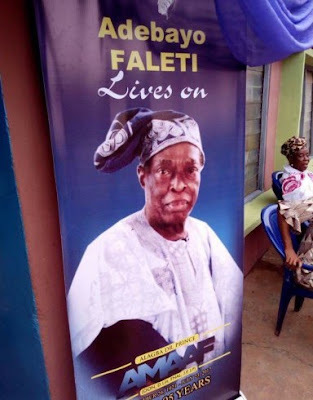 Adebayo Faleti, Africa's first newscaster, Africa's first stage play Director and Africa's first film editor, who died on July 23rd 2017 at the old age of 95, has been laid to rest. 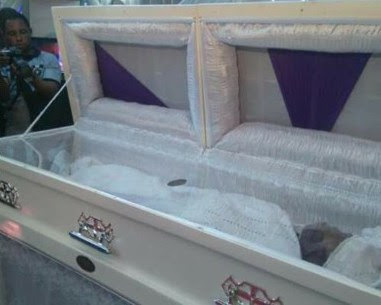 He was buried in his Agboye Village, Oyo State, on Friday September 8th. 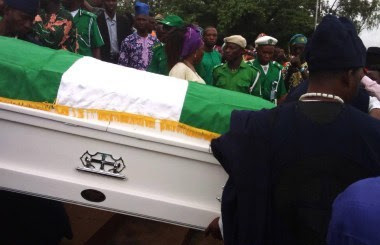 His funeral was attended by many dignitaries including Governor of Oyo state Ajimobi, traditional leaders, and practitioners in the movie industry. He was Africa's first newscaster, Africa's first stage play Director, Africa's first film editor and librarian with the first television station in Africa (WNTV/WNBS), Nigeria's first Yoruba presenter on Television, a Nigerian poet, journalist, writer, Nollywood films Director and actor. He was also known as a Yoruba translator, a broadcaster, TV exponent and pioneer of the first television station in Africa, Western Nigeria Television (WNTV), now known as the Nigerian Television Authority (NTA). He was responsible for translating Nigeria's National Anthem from English to Yoruba. He also translated speeches being made by Nigeria's former Attorney-General of the federation Chief Bola Ige, military president of Nigeria General Ibrahim Babangida, former premier of the Western region of Nigeria, Chief Obafemi Awolowo and Chief Ernest Shonekan - Head of National Interim Government of Nigeria, from English to Yoruba. Faleti has published a dictionary containing the formal or official use of Yoruba names. He received many awards, both locally and internationally, including the national honour of Officer of the Order of the Niger (OON), Doctor of Letters (D.Litt), Justice of Peace (JP), Jerusalem Pilgrim (JP). Adebayo Faleti had received the Festival of Arts award with "Eda Ko L’aropin" in 1995 and the Afro-Hollywood Award for Outstanding Performance in Arts in the United States (2002). 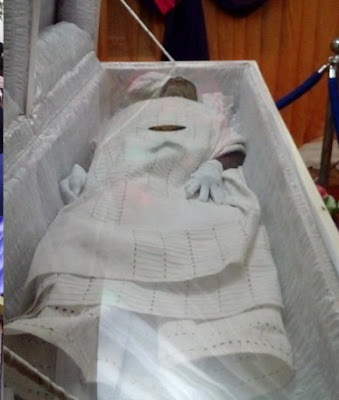 Faleti was born in Agbo-Oye, Oyo State, though lived in Obananko, Kuranga, near Oyo State. He is the first son of his father, Joseph Akanbi Faleti and the only child of his mother, Durowade Ayinke Faleti. From an early age Alagba Faleti always had passion for drama. Unfortunately, his parents could not fund his education to pursue his dreams due to lack of income, so he decided to put his primary education on hold. He then gathered a couple of interested colleagues and started his own successful theatre group, named Oyo Youth Operatic Society (founded in 1949). Faleti later found his way back to school by getting a job in a primary school, in which he worked for six years to raise enough funds for his secondary schooling with the financial support of his father. In 1966, he attended the University of Dakar in Senegal and obtained a Certificate of proficiency in French Language and Civilization.